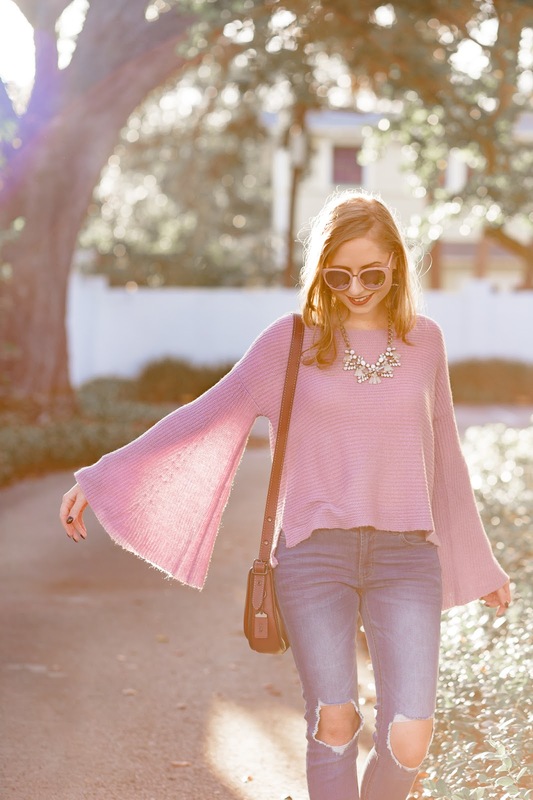 The BP collection is full of affordable flare sweaters like THIS SWEATER for $39. 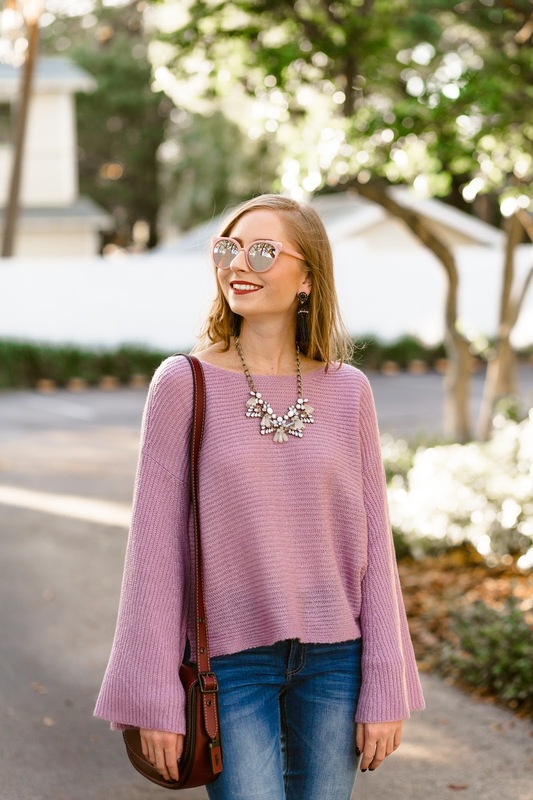 The great thing about this sweater is that it comes in sooo many colors! The under $40 price point is also seriously wonderful. Forget about finding something overpriced from Free People for the winter, check out Nordstrom's BP line for the best affordable deals. I'm bringing this sweater along on my trip up to New York. 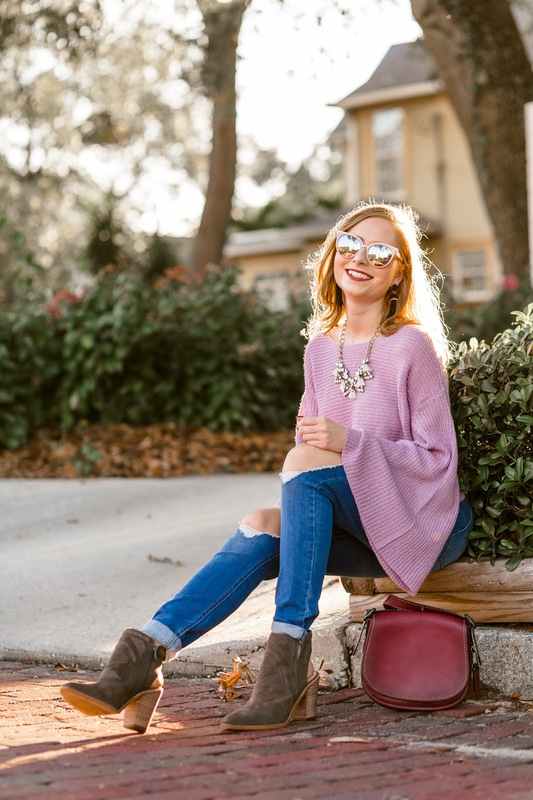 I am into the purple tones at the moment, however, this flare sweater is also cute in a dark orange color. For the complete look pictured above, a pair of ripped jeans from LEVIS is a great match for this time of year. Don't forget about cute ANKLE BOOTIES, too! Get ready to see some more exciting winter looks on the blog next week after I explore NYC and spend time with the family!